READ 15 THINGS YOU MUST KNOW ABOUT THE WORLD ANOINTING “MY STORY TO GLORY YEAR!” NIGHT 2019! You will write your own history. Winston Churchill noted: “Success is not final, failure is not fatal: it is the courage to continue that counts.” Believe in yourself and your God! If you have no confidence in yourself, you are twice defeated in the race of life! Be like the eagle! The eagle has no fear of adversity! We need to be like the eagle and have a fearless spirit of a conqueror! Will you allow the 14 letter word “discouragement” or the 10 letter word “depression” hinder your greatness in life and ministry? Will you allow pain, people, sin and stress to steal your glory? God’s promise to you is clear: “I wish above all things that you mayest prosper…”-(3 John 2). The choice is yours! Fight distraction daily BECAUSE THE SHOUT OF A KING IS IN YOU (Num. 23:21). The Wright brothers made it! Einstein was a star! What will be said about your family name? Set a time apart to fast and pray for three days on this matter. You will never go down because this is your year! Amen! Pray in the Holy Ghost as you are led today. 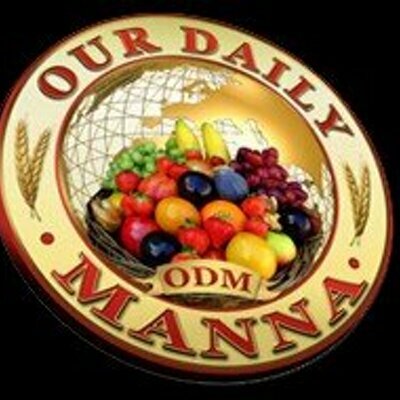 See page 52 to know the location of MANNA MOUNTAIN INTERDENOMINATIONAL CENTERS nearest to you.